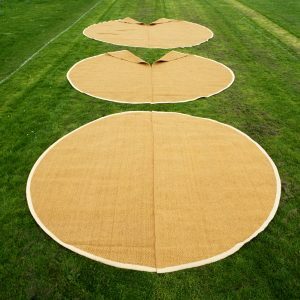 If you have a Yurt (traditional Mongolian dwelling) or Tipi, then you are in the right place for half moon outdoor mat, we have the perfect solution for Yurt & Tipi mats. 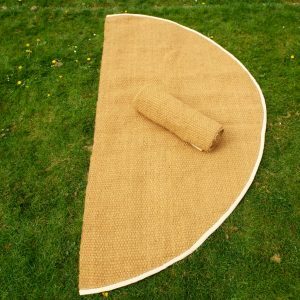 Whether camping or glamping, our high quality half moon coir matting is the natural choice as a floor covering for your tent. Made from natural coconut fibre, durable and hard wearing. Coir used in this product is 100% environmentally friendly being completely chemical free. It is long lasting, and although it looks rough the fibres are pleasant to the touch. Large diameter Tipis and Yurts are becoming ever more popular for weddings and other outdoor events. Unlike the smaller Tipi and Yurt matting we offer, which comprise of 2x Half Moon mats. These 10m diameter Tipi matting comprise of 5 separate pieces, when laid together form the full mat. 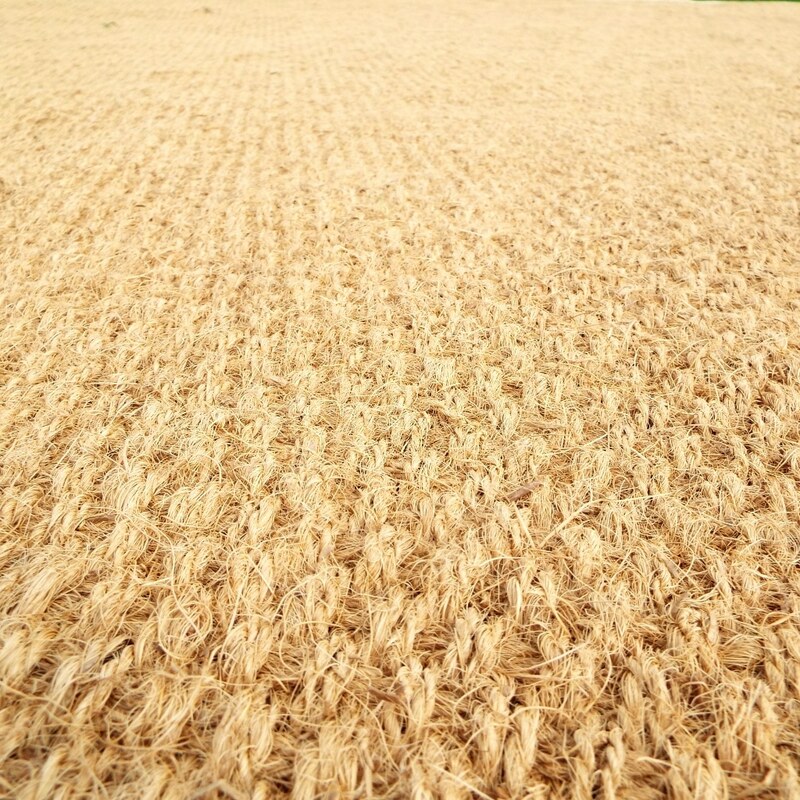 Each of the 5 mats are a maximum of 2.1m wide which allows for some overlap, and compensation in structure variation. Perimeter hemmed with Natural colour cotton webbing, machine stitched. 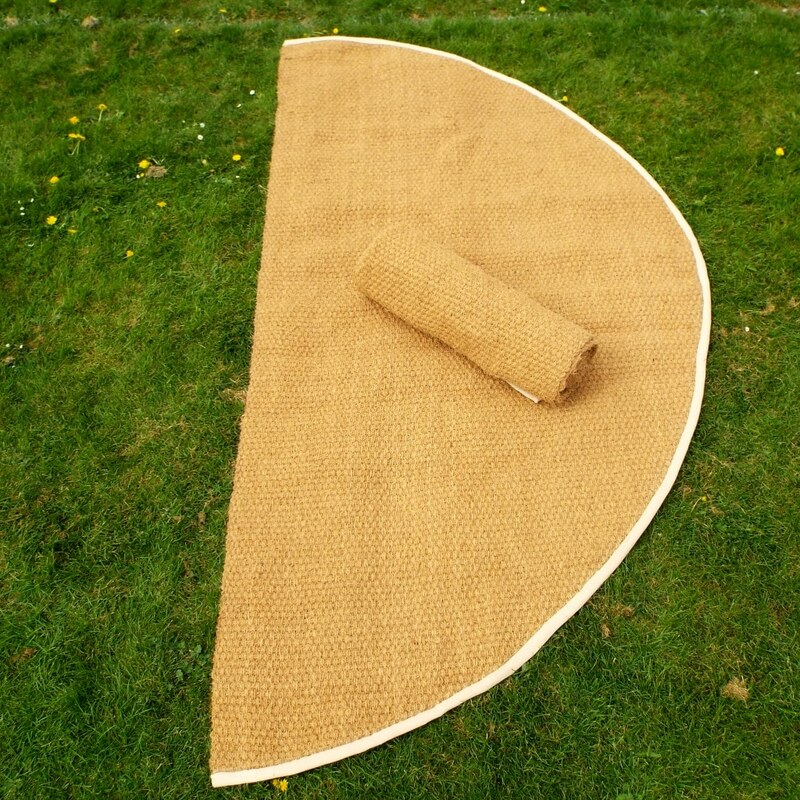 With the advent of Glamping and festival goers rediscovering the pleasures of the outdoor life, natural half moon mats are the perfect shape and design to fit inside a Yurt or Tipi. 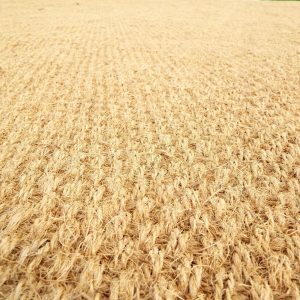 The benefits of coir are largely due to the durability of the strong fibres, making it resistant to wear and tear. 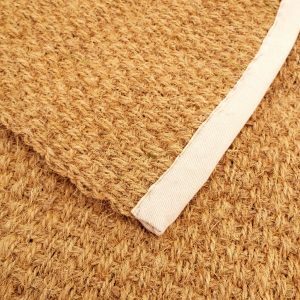 Its natural qualities lend itself to outdoor camping & glamping, not only does it look good and offer a highly textured surface, its a natural insulator and comfy to lay on. Providing a fantastic insulating layer between you and the ground, forming a natural barrier against the elements when you are camping outdoors. 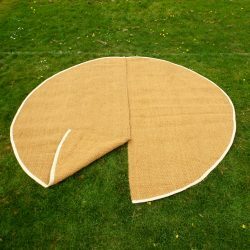 We are one of the main British importers, our selection of Yurt or Tipi matting conforms to the highest specifications in accordance with the India coir boards exacting standards. View the table below to see the mat prices, based on size & weave. 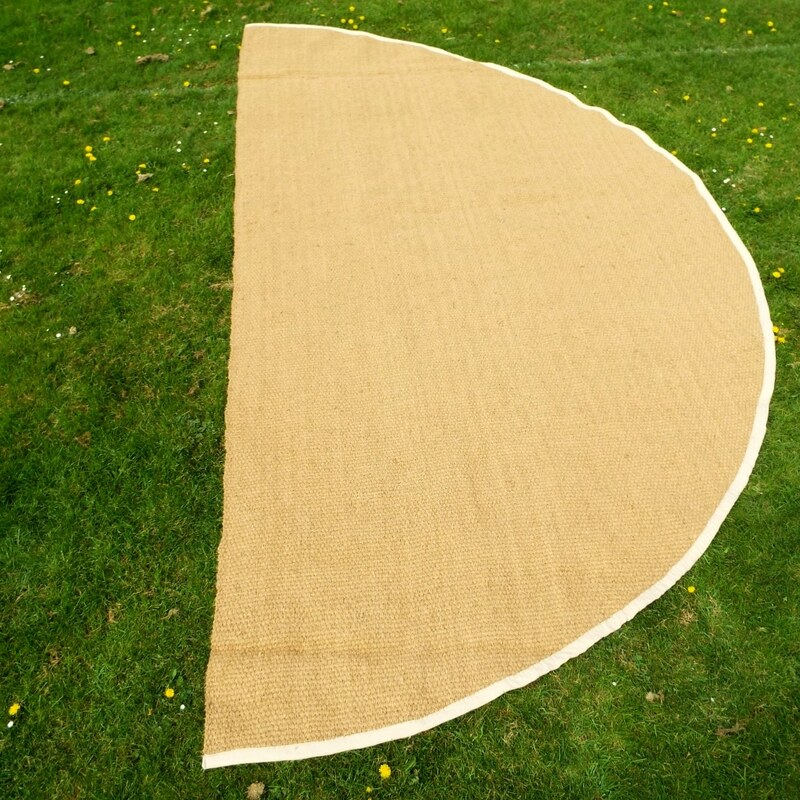 It is entirely up to you if you place the yurt & tipi mats on the grass, or you can choose to insulate them further from damp with a ground sheet. Once you have finished using them they are easy to clean, with a garden hose and brush, taking care to dry in the sun or indoors.